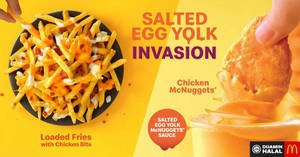 Salted Egg Yolk Invasion at McDonald’s! Attention avid brick builders! 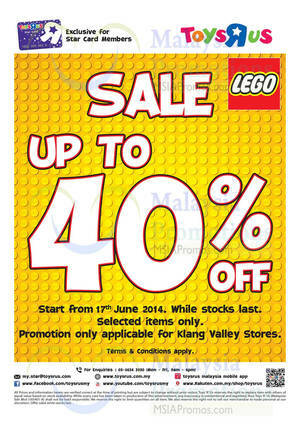 Enjoy 40% OFF on selected LEGO® play sets & materials now! 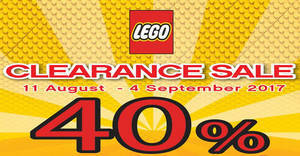 LEGO Stock Clearance Sale up to 50% off is in the town now! 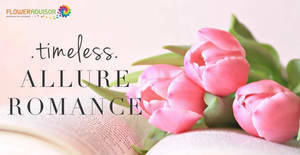 From 19 April until 24 April 2017 at Pearl Point Shopping Mall, Second Floor Event Hall! 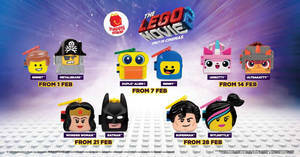 Purchase RM200 and above worth of lego products and get a FREE Lego Super Heroes. 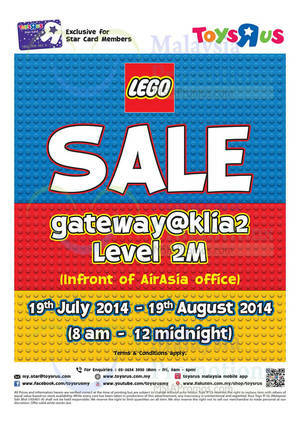 The event will be held at Gateway@KLIA2, Level 2M. 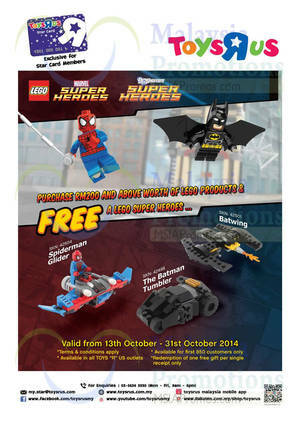 Exclusive for Star Card Members – Enjoy up to 40% OFF Lego products. 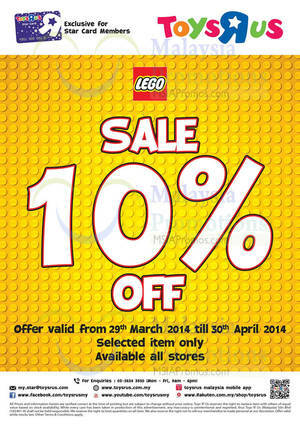 Enjoy 10% OFF selected Lego products at Toys “R” Us. For Star card members only.